Born in 1890. Reborn in 1928. Revitalized in 1977, 1984, and 2015. From vaudeville to Broadway, it is a story of resilience and reinvention that could only happen in Memphis. 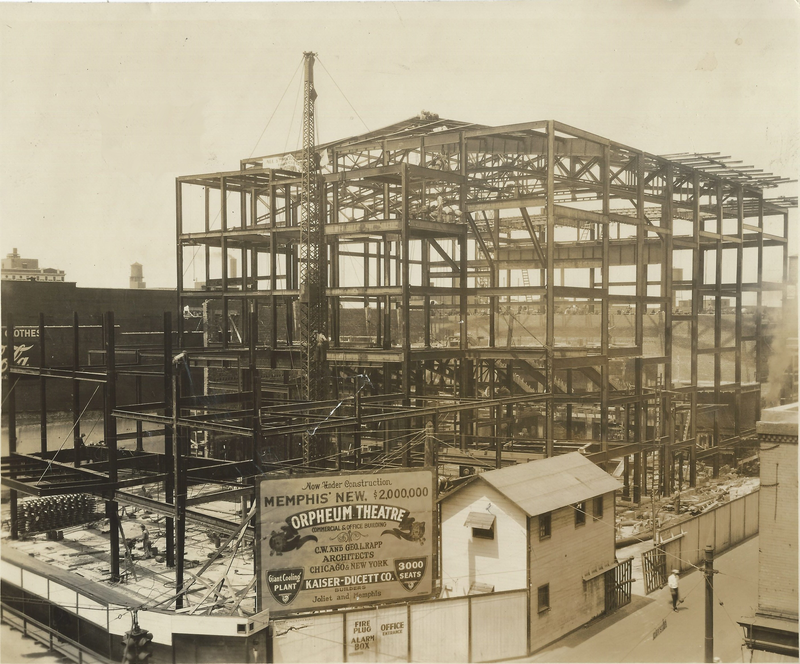 The new Grand Opera House was considered the classiest theatre outside of New York City. 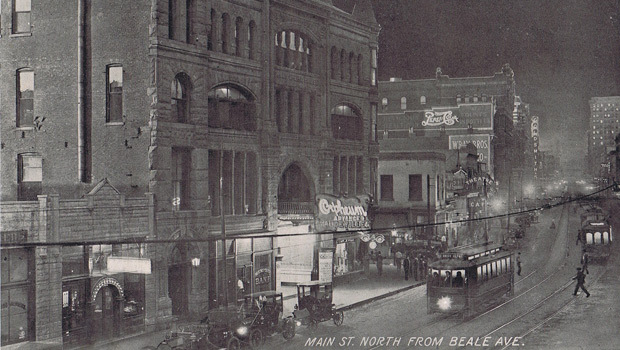 Vaudeville was all the rage, and some of the best shows in the South could be seen at the corner of Main and Beale. 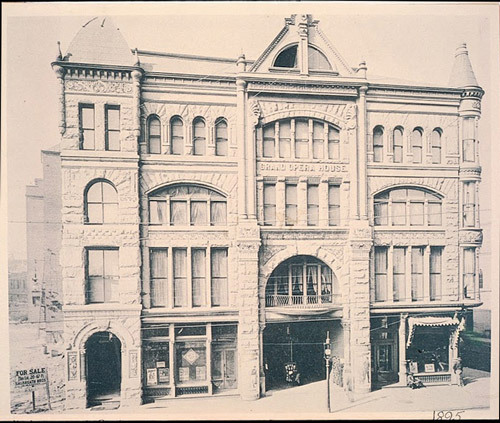 The Grand became part of the Orpheum Circuit of Vaudeville and soon officially became known as the Orpheum. 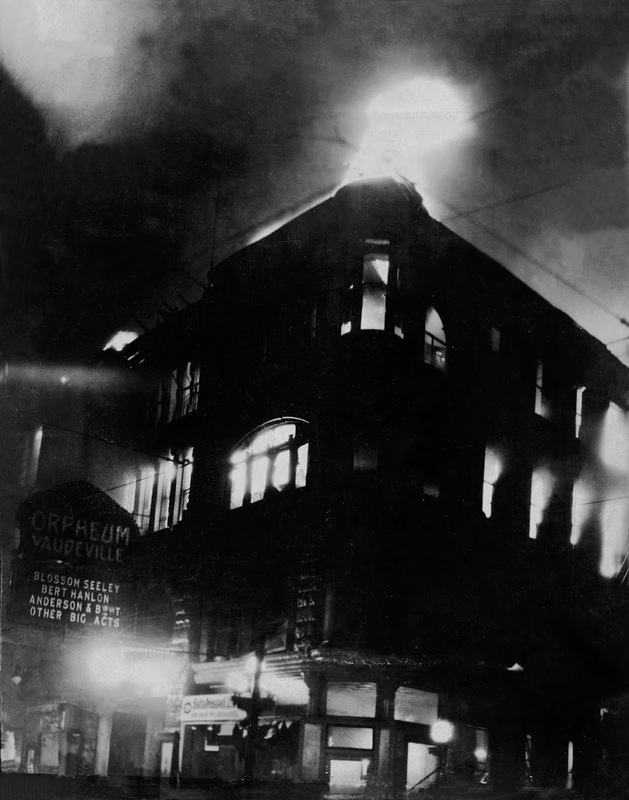 On the night of October 17, the Orpheum was destroyed by fire. According to accounts, the evening’s last patrons had left just 30 minutes before, just after a performance by singer Blossom Seeley. Though the cause of the blaze is still unknown, it is thought to have ignited on the third floor, which was occupied by a women’s clothier. 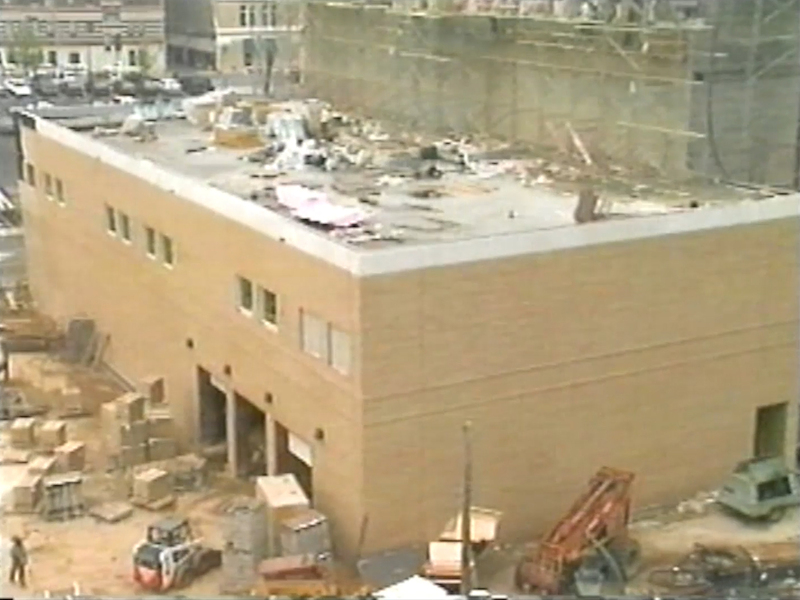 Construction on a new $1.6 million theatre began. Renowned architects C. W. and George L. Rapp designed the new building, which would be the largest in the Orpheum Circuit. The 2,800-seat auditorium was equipped for silent films and live theatre. 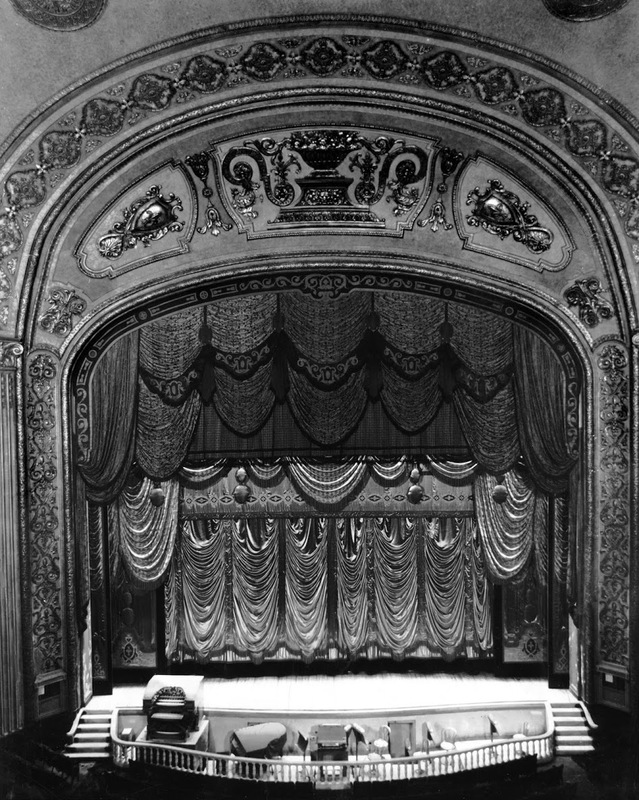 The lavish “New Orpheum,” as it was often called, featured brocade draperies, crystal chandeliers, gilded moldings, and a Mighty Wurlitzer organ. A new era began with evening variety programs of organ performances, vaudeville acts, and a showing of “The Outcast,” starring Corinne Griffith. 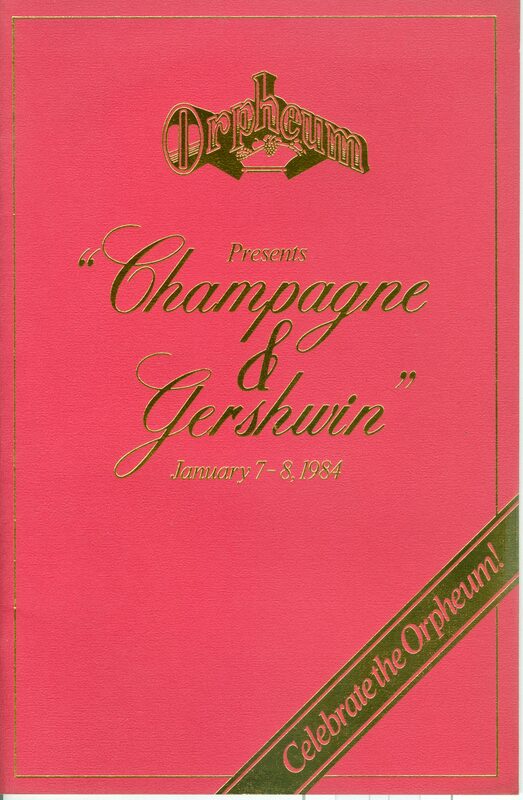 Some of the decade’s greatest entertainers — Eddie Cantor, Louis Armstrong, Duke Ellington, and the Folies Bergere, to name a few — graced the Orpheum stage. As motion pictures replaced vaudeville as preferred entertainment, the Orpheum couldn’t survive the Great Depression. M.A. 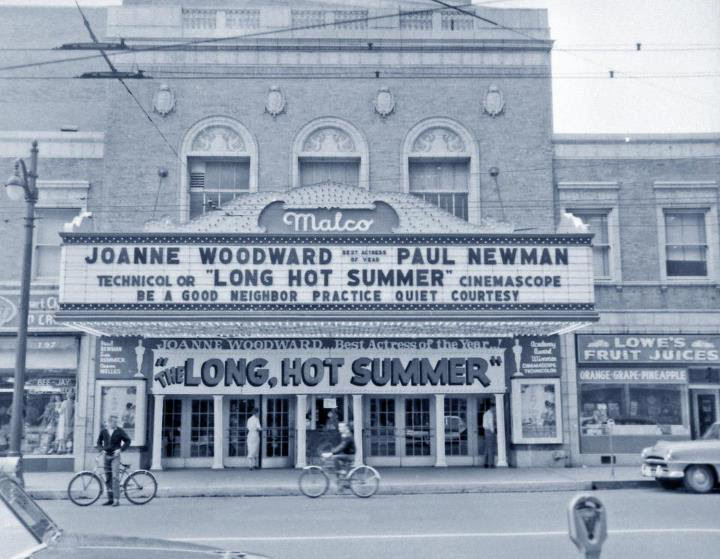 Lightman purchased the Orpheum for just $75,000 and the theatre became the Malco, presenting first-run movies on its big screen until 1976. Downtown Memphis in the 1970s was not the vibrant area you see today. Many businesses had left the neighborhood a decade prior. The clubs of Beale Street succumbed to disrepair. 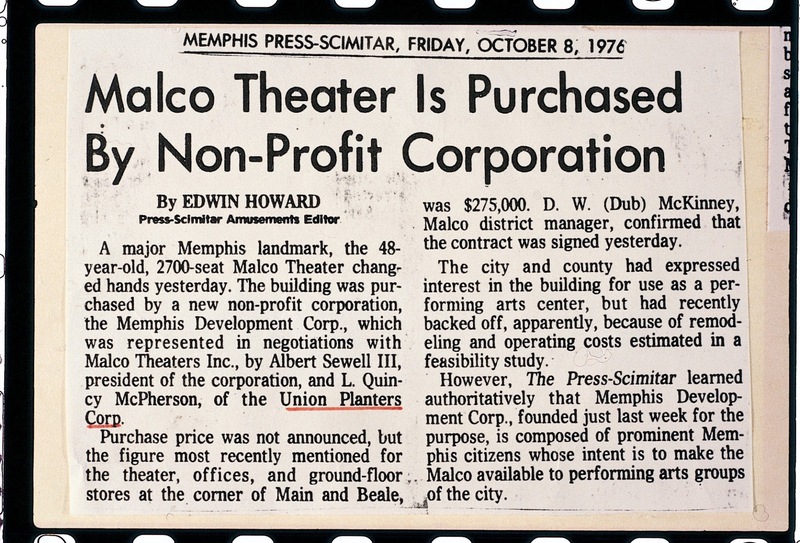 Single-screen movie theatres were no longer profitable, and Malco decided to sell the Orpheum. Less than 50 years after its lavish revival, the theatre was in danger of demolition. A group of concerned citizens formed the Memphis Development Foundation to save the theatre in hopes of kick-starting a downtown reawakening. 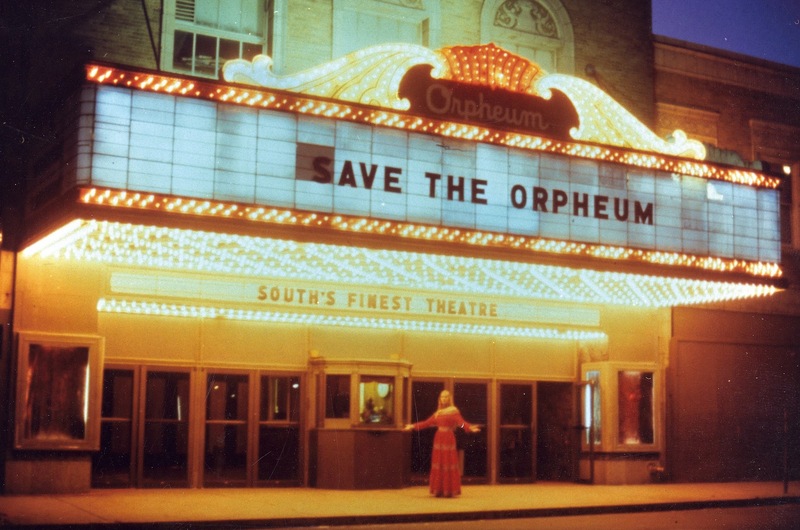 The Memphis Development Foundation purchased the building and renamed it the Orpheum. Broadway shows and live performances soon returned. The Orpheum Theatre also became one of the first buildings in Memphis to be added to the National Register of Historic Places. The Orpheum closed on Christmas Day for renovations. Thanks to the generous support of the Mid-South community, $5 million was raised to repair the building and restore it to its 1928 opulence, while also making it more accessible for modern performers and audiences. Restrooms and dressing rooms were upgraded. New heating, ventilation, and air conditioning systems were installed. Two loading docks were added to better accommodate touring theatre companies. Concession areas, more restrooms, and a new box office were added on the south side of the lobby. In the northeast corner, a green room was added. The Orpheum Theatre celebrated its grand re-opening. The show would go on. 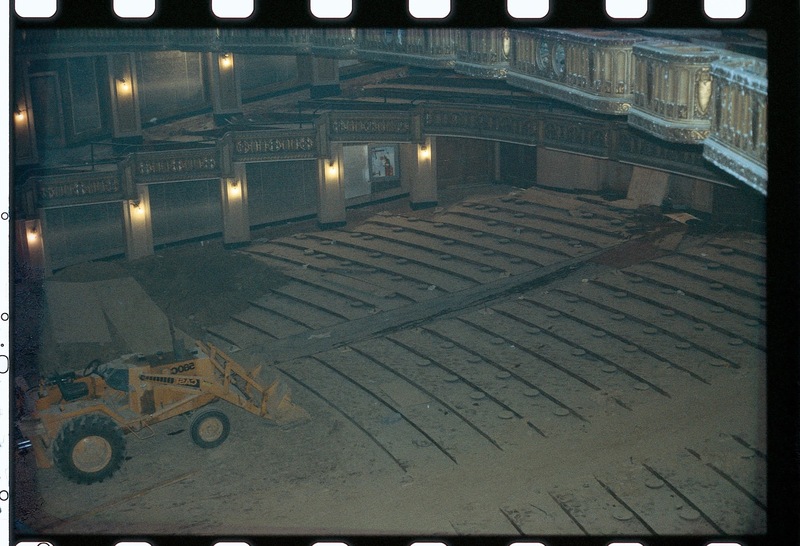 As Broadway sets grew larger and more elaborate, the Orpheum stage needed to expand in order to accommodate them. The ensuing renovation would be the Orpheum’s biggest yet. The orchestra pit was enlarged, and 13 new dressing rooms and a warm-up area were added backstage. Loading dock capacity was expanded. New technical equipment was installed, and the walls received a fresh coat of paint and gold leaf. 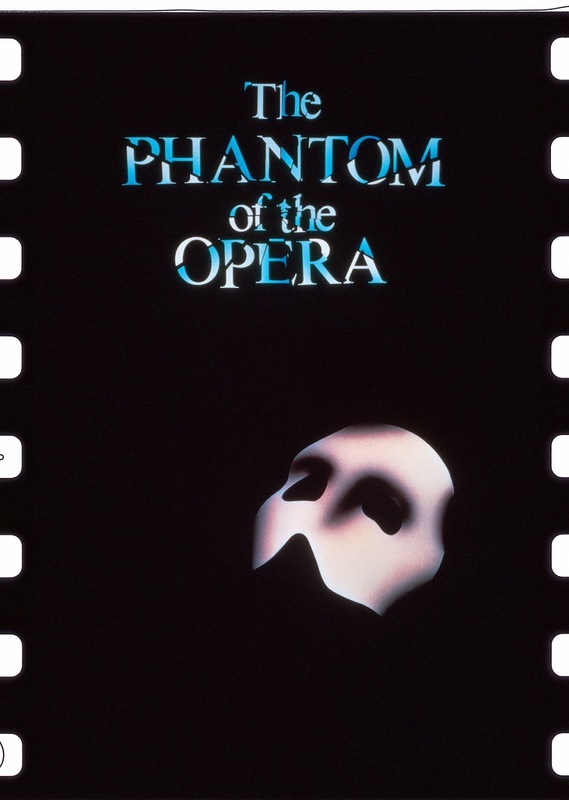 The Phantom of the Opera opened the 1997-1998 Broadway series on a newly extended stage that was 50 feet deep. Since then, the Orpheum has brought Disney’s The Lion King, Wicked, CATS, Les Misérables, and countless other Broadway favorites to Memphis. World-class musicians, comedians, and other entertainers have performed on the Orpheum stage. Proceeds from these performances, in addition to philanthropic support, fund extensive education and community outreach initiatives. Community and educational programming had reached more than 60,000 students, teachers, and families. To accommodate these burgeoning programs, more space was needed. The Crump Firm designed plans for a new education facility adjacent to the theatre. A capital campaign was launched. The Halloran Centre for Performing Arts & Education opened. Named for outgoing President and CEO Pat Halloran, the 39,000-square-foot facility features a 361-seat theatre, classrooms, and multi-use event spaces. 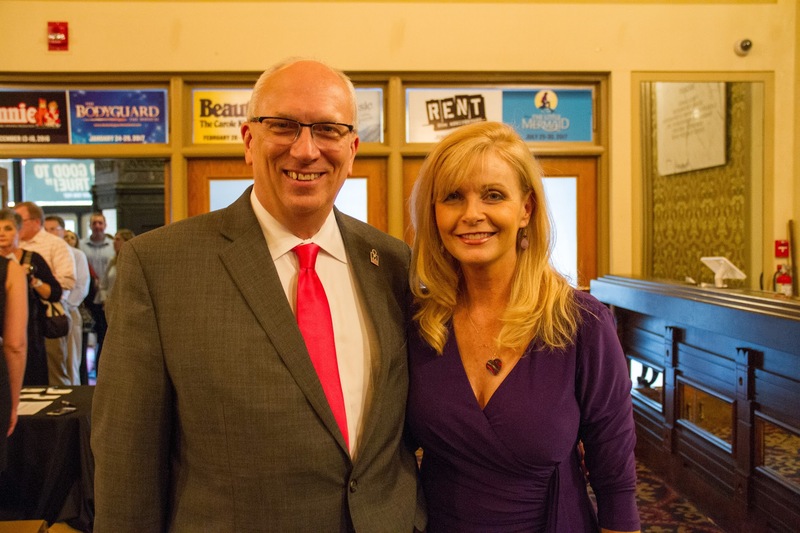 Under the leadership of new President and CEO Brett Batterson, the Memphis Development Foundation rebranded as the Orpheum Theatre Group. 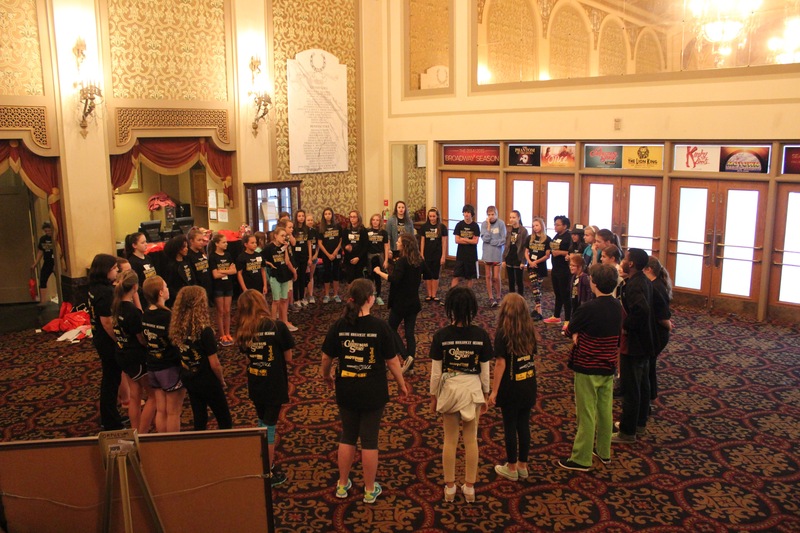 The mission of the Orpheum Theatre Group is to enhance the communities we serve by utilizing the performing arts to entertain, educate, and enlighten while preserving the historic Orpheum Theatre and the Halloran Centre for Performing Arts & Education.